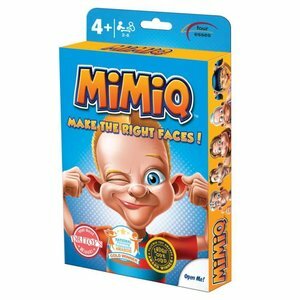 Put your memory and facial muscles to the ultimate test with MimiQ! Capture the other player`s cards by MimiQ`ing a variety of facial expressions and collect the most sets of three identical cards! If you don`t have the card a player asks you for, stick your tongue out!